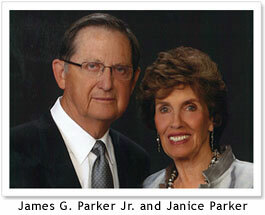 James G. Parker Jr. began his insurance career in Los Angeles, CA in 1951. James and his wife Janice wanted to raise their children in a smaller community so they moved their family to Fresno in 1959 where James became a partner in a local insurance agency. After many years in the insurance industry, working on both the insurance carrier side and the agency side, James felt the need to venture out on his own. James and Janice shared the vision to open their own insurance agency, create an opportunity for family and friends to work together and become an active partner in the community. With this in mind, James left the independent agency where he had been a partner for nearly 20 years and with Janice’s support, formed James G Parker Insurance Associates in 1978. James’s and Janice’s oldest son James G Parker III and Gary Feemster, a longtime friend of James III, joined them as minority shareholders and the Agency’s first producers. With a little ingenuity and a lot of determination to succeed, the agency was off and running. The vision of a family run business continued to take shape when sons Jon Parker and Todd Parker joined the firm shortly after it was founded. James G Parker Insurance Associates has grown from a handful of employees to over 160 employees located throughout the state of California. We are proud of our employees, and appreciate their hard work, dedication and commitment to building a successful and respected agency. The agency takes pride in the fact that the first two employees hired by the company continue to be an integral part of the Agency. With management’s continued effort to identify exceptional talent, invest in quality people, partner with other successful entrepreneurs and make strategic acquisitions, James G Parker Insurance Associates has grown to become recognized by The Insurance Journal as one of the Top 70 privately owned insurance agencies in the United States. 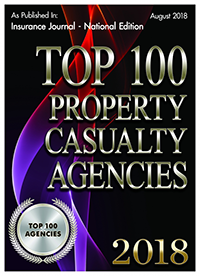 One of the Agency’s strategic acquisitions was Bacome Insurance Agency in 1989. Under the leadership of Gerald Thompson and with the support of his partners, Paul Thompson, LeRoy Berrett and Daniel Todd, Bacome Insurance Agency founded in 1946 had become recognized throughout the valley as one of the industry leaders in Agribusiness. Their strong reputation of integrity, family values and hard work was a natural fit for the two agencies to come together. James G Parker Insurance Associates is currently owned by James G Parker III, Jon Parker, Todd Parker, LeRoy Berrett, Paul Thompson and Daniel Todd. 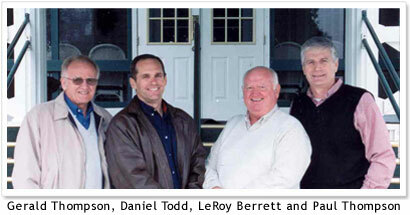 The company is operated under the guidance of the Board of Directors which consists of James G. Parker Jr., Chairman, James G. Parker III, President (CEO), Jon Parker, Senior Vice President (CFO), Todd Parker, Senior Vice President (Secretary), LeRoy Berrett, Senior Vice President, Paul Thompson, Vice President, Daniel Todd, Vice President and Gary Feemster, Board Member. Over the past 30 plus years, many things have changed; however the core principles of honesty, integrity, hard work and fairness that James and Janice used to form the Agency have not changed. Those principles were the foundation upon which James G. Parker Insurance Associates was built and will continue to be honored as a constant reminder of what enabled James’ and Janice’s vision to become a reality.